When it came to fashion, Jacqueline Kennedy Onassis was a world-class acquisitor. In her first year in the White House, she spent $45,446 more on clothing and baubles than the $100,000 her husband earned as president. During her years as Mrs. Onassis, she'd slip into Madison Avenue boutiques to snap up her signature turtlenecks, usually one in every color. The purse slung over her shoulder was Hermes, the bangle on her wrist Schlumberger. But the style was all her own. 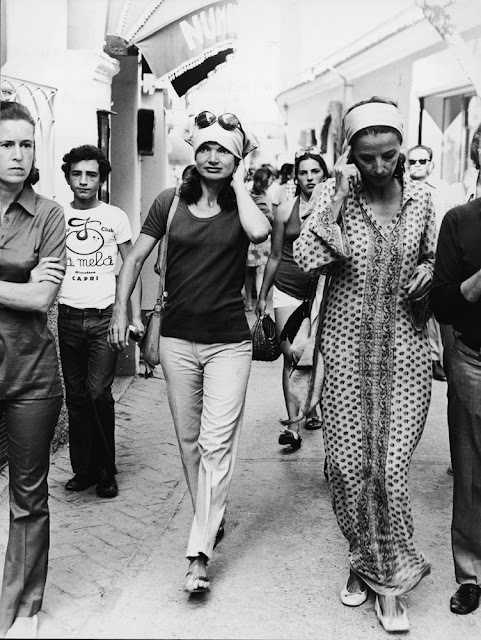 And as the 1980 song by Human Sexual Response went, women hungered to be more like the elegant pop-art princess: "I want to be Jackie Onassis/I want to wear a pair of dark sunglasses/I want to be Jackie Onassis, oh yeah, oh yeah." Designers didn't start out to do a paean to Jackie, but it came out that way. After years of fashion deconstruction, it was time to segue back to more structure -- which defined the 1960s and early '70s. Here, below is a breakdown of the elements that defined Jackie's signature style. 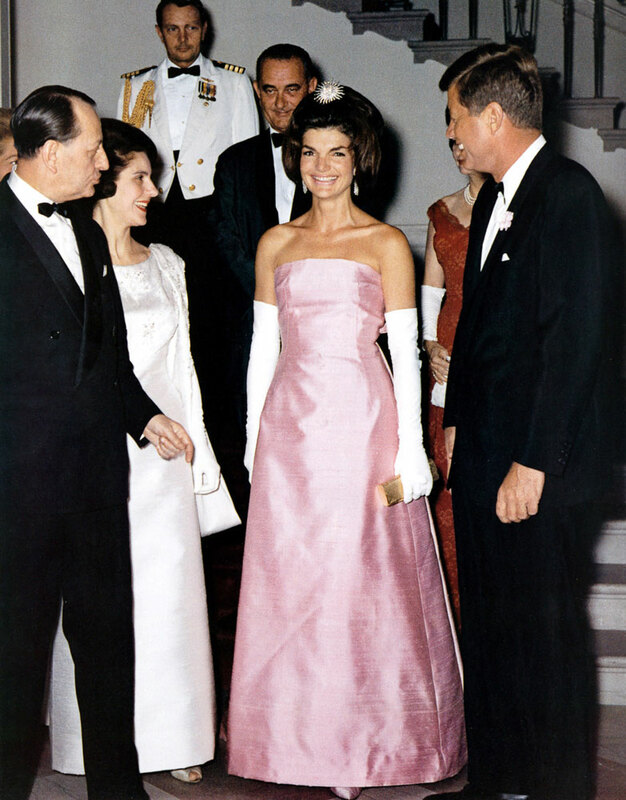 Jackie started more than a few trends during her first year in the White House, including popularizing the pillbox hat. Many of her stylish chapeaus, which she often wore in different colors, were designed for her by Halston. 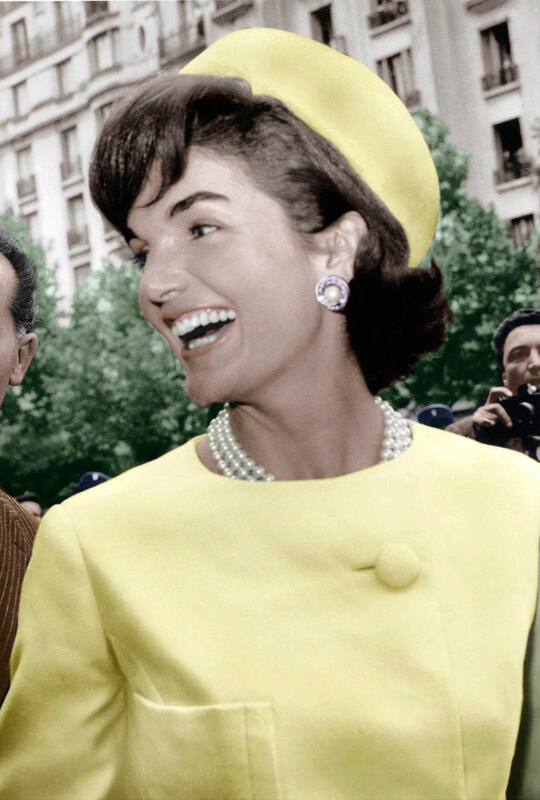 She famously wore a pink suit and matching pillbox hat on the day her husband was assassinated. 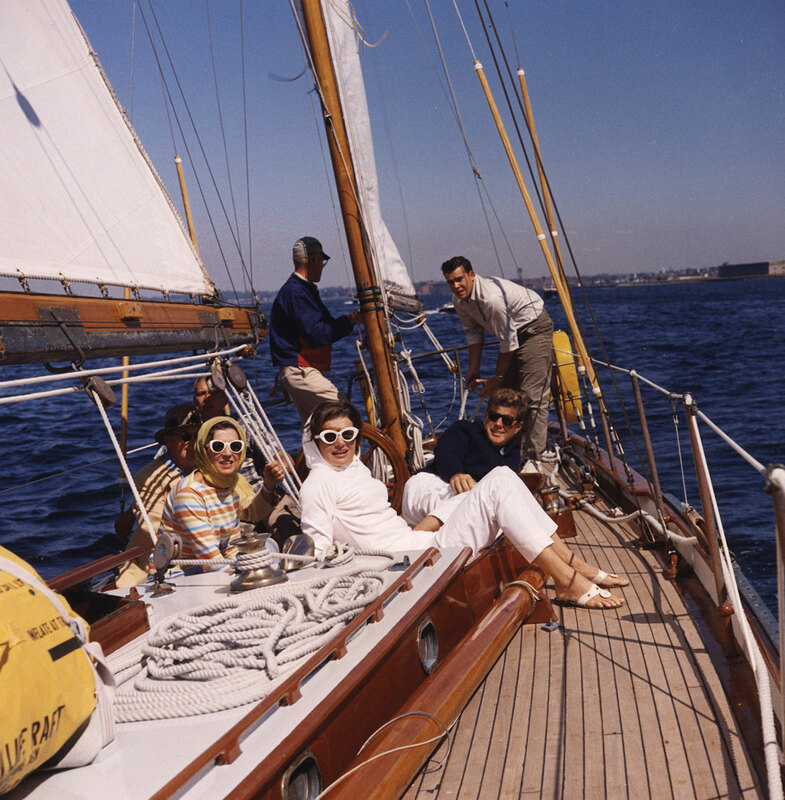 Jackie's signature shades were both stylish and functional. She has been quoted saying she liked the opportunity they gave her to watch people and that she kept multiple pairs of sunglasses in a basket by her front door. 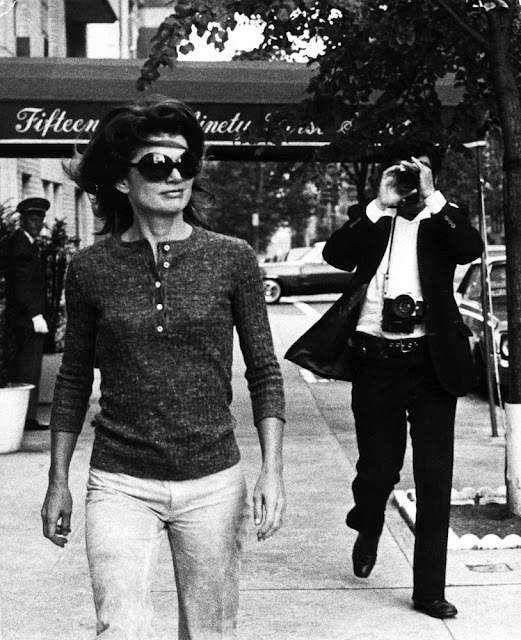 Jackie had an ability to make even the most casual outfits look chic, and often paired headscarves with giant sunglasses when she was outdoors. 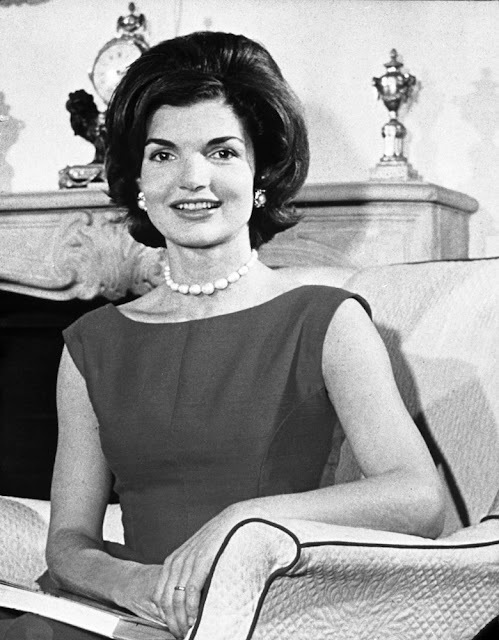 Though her hairstyle evolved over the years, Jackie's voluminous coif was an integral part of her signature lookl. Her iconic bouffant was created by Kenneth Battelle, the famed hairdresser to the stars who also styled Marilyn Monroe. 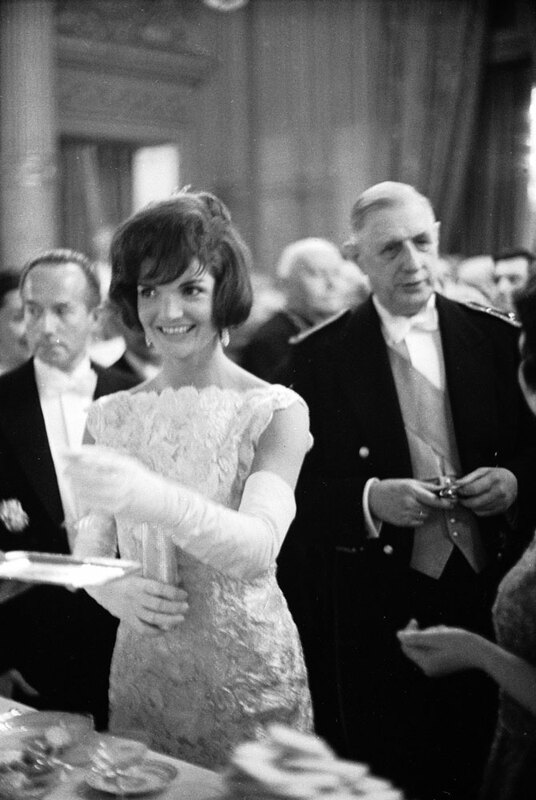 Gloves were another signature accessory for Jackie for both day and night. She favored white elbow length gloves at formal evening events, which were often commissioned by LaCrasia Gloves in New York City's famed garment district. As First Lady, Jackie frequently wore shoulder-baring gowns to official events that showed off her slim physique — a daring move in the 1960s. 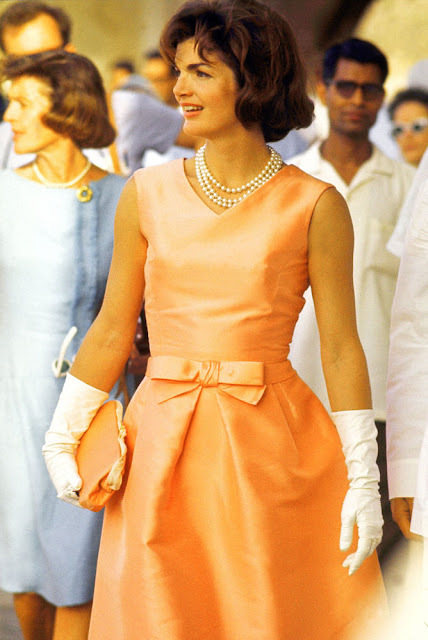 Jackie often accented her famously tiny waist with strategically placed bows. 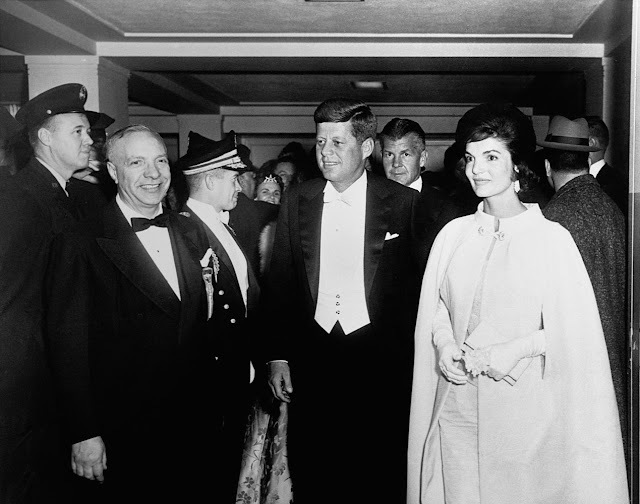 Few people can carry off a cape, so it's no surprise the dramatic accessory was a part of Jackie's signature style as First Lady. 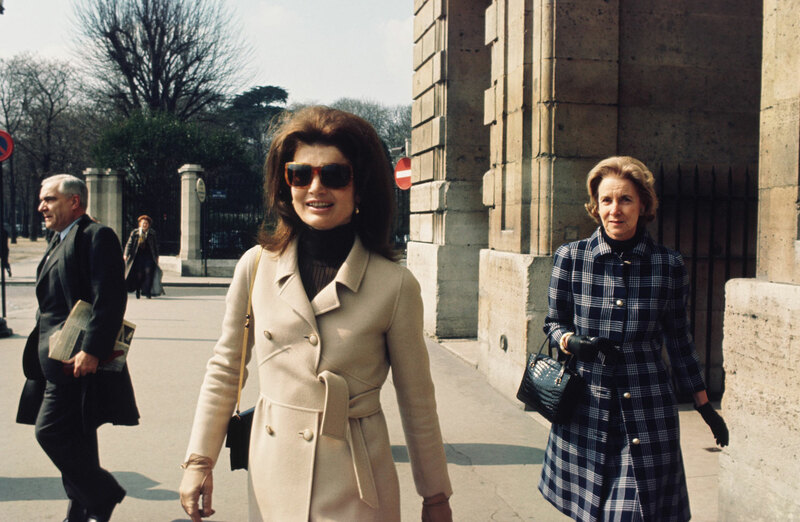 Long before Olivia Pope rocked every conceivable style of cold-weather cover-up, Jackie dazzled with her seemingly endless array of fabulous, covetable coats. 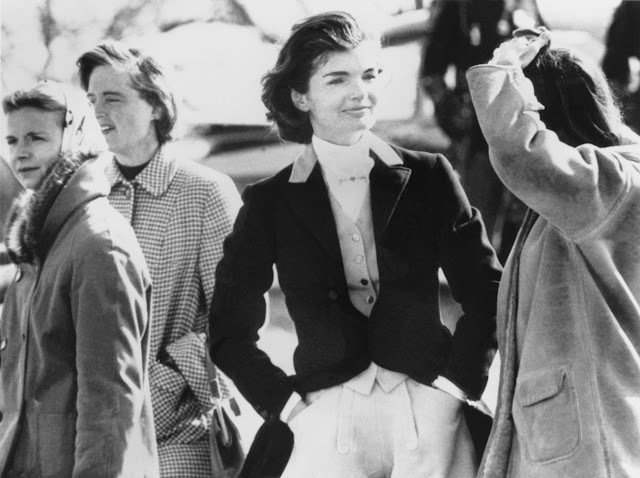 Having grown up riding horses, Jackie made equestrian garb look effortlessly chic. 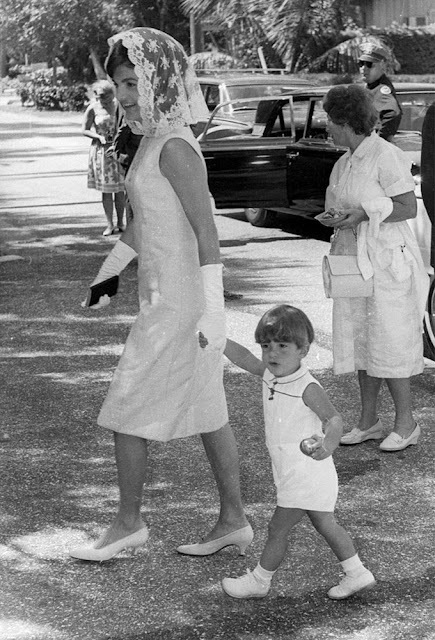 Jackie's fashion sense extended to her children, which meant John and Caroline wore outfits that frequently complemented or matched their mother's. Jackie understood the power of the simple monochromatic look, and may have been the originator of the All White Everything look that's back in fashion.